Does your business need a succession plan? Succession planning has been highlighted as a vital process by firms overseas, especially in the United States. However, how important is it for Australian companies to put their own plans in place? The North American Securities Administrators Association (NASAA), for example, has made it mandatory for all state-registered investment advisors to have a business contingency and succession plan in an effort to avoid disruptions to businesses. This ruling protects the company from unexpected changes due to factors such as a sudden death or a database loss, as well as ensuring clients receive a consistent service. 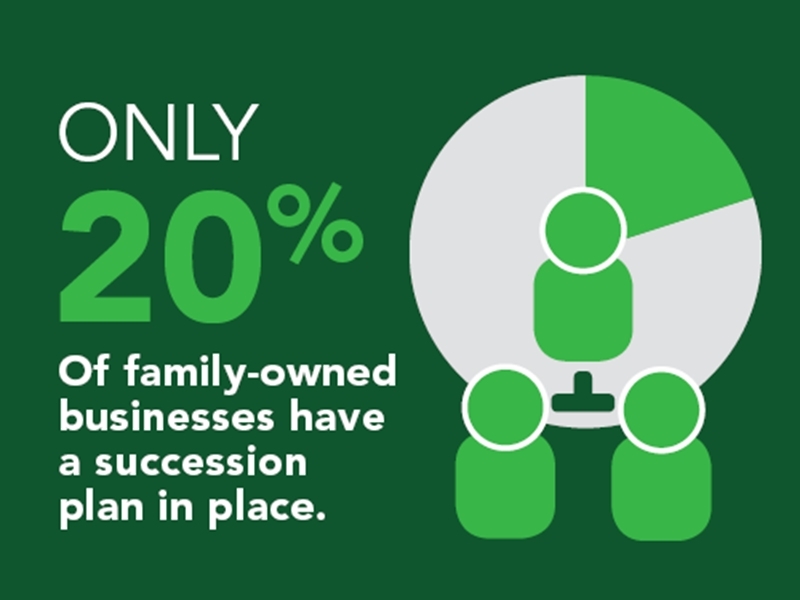 However, a Family Business Australia survey showed that only 20 per cent of family-owned businesses have a succession plan in place. Considering that family businesses represent around 70 per cent of all Australian firms, there is a considerable gap between the planning needed to ensure continued success and the amount companies are actually implementing. In Australia, succession planning has been bought to the forefront in many companies, according to Ben Power of the Chartered Accountants Association. With the baby boomer generation heading towards retirement age, firms are faced with the task of filling vital roles and preparing people to move into the strategic apex. How can my business start an effective succession plan? As Ben Power mentioned in an article for the Chartered Accountants Association, there are a few barriers that stop firms from putting in place a succession plan. These were difficulties in finding the talent to replace key players, the over-reliance on these players for the ensured success of long-term plans and the lack of time, as many business were focused on the short-term operations. Assessing both your internal staff and the external pool is a key step in the process. Despite these barriers, there are ways that these can be overcome. Business intelligence software can help users access reports and crucial information to allow for smoother handovers of ongoing projects and to ensure that the information is not kept to one person only. This information can also be useful for scenario planning, which can help businesses feel more prepared. Assessing both your internal staff and the external pool is another key step in the process. Both of these options have their own strengths and downsides but no matter which option you use, you will need to have strong development programmes in place to groom potential candidates for upper management. Succession planning is a comprehensive and often complicated ongoing process. However, for businesses that seek long-term success, it is a necessary addition to the planning process and can buffer your company in an uncertain future.